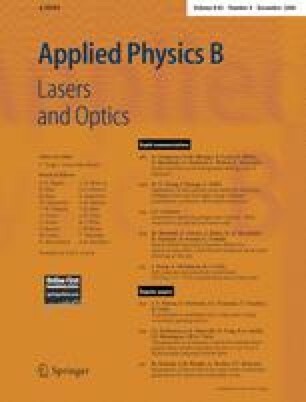 We have investigated experimentally the energy transmission and spectral broadening of 30-fs, 700-μJ laser pulses in a neon-filled, 250-μm inner diameter hollow fibre. We implement a differentially pumped fibre, where a vacuum is maintained at the fibre entrance, and compare this to a statically filled fibre. We obtain significantly higher transmission and increased spectral broadening in the differentially pumped case due to a reduction of ionisation defocusing at the fibre entrance. This arrangement provides a method for the generation of near-transform- limited pulses with smoothly varying pulse duration whilst maintaining constant pulse energy, by simple adjustment of the gas pressure. Compression of ∼450-μJ pulses from the differentially pumped fibre to a duration of 6.5 fs has been achieved for pulses with spectra spanning 650–900 nm, by use of negatively dispersive chirped mirrors.